The Asus Transformer TF700 can now update with Official Cyanogen Mod 10 Nightlies. Full credits will goes to the XDA Senior Member dasunsrule32 who has come up with this update. One of the advantage of official firmware is that you no need to root your device. Just in case, the warranty of your device gets void by installing the custom ROM firmware you can easily recover them with the help of official firmware. In this update majority of features are working which includes Audio, Hardware acceleration, WiFi, GPS, Accelerometer, Touchscreen, Microphone, Bluetooth PAN, Dock, Both rear and front facing camera, Gyroscope, Compass etc. But still it has some known issues which includes Camera force closes when taking a picture, Tethering, exFAT support doesn’t exist, Circle battery mod get cut off etc. DISCLAIMER: We and even the developer should not be held responsible for damages takes place to your device while following these steps. We strongly advice you to take backup of all your datas which was present in your phone. Just in case, if it lost due to any reasons you can easily recover them with the help of backup. Once you have created the backup, you need to enable the USB Debugging from the path “Settings > Applications > Development > USB debugging”. Ensure that the USB Debugging option is ticked. You should left the battery level of atleast 60% or else there is a risk of your device getting turned off in the middle of firmware update. 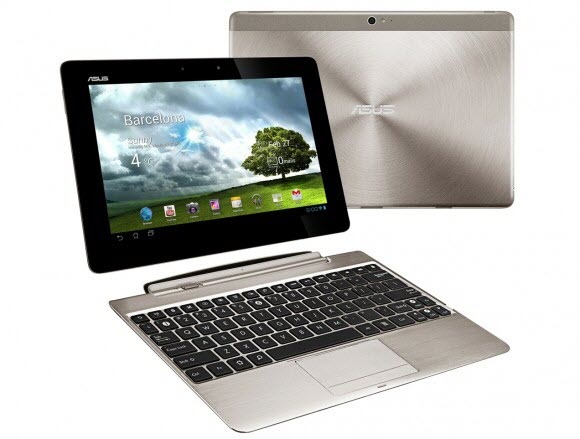 Disable all the antivirus tools in your Asus Transformer TF700 device because this may interrupt the firmware update. Make sure your device is unlocked. Then download CyanogenMod 10 and Google apps package from here to your computer. Once downloaded, then place the cm-10-2012XXXX-NIGHTLY-tf700t.zip and gapps-jb-2012XXXX-signed.zip on your SD card of your slate. After that turned off your device, so that it can be entered into the recovery mode. For that you need to press Power button and Volume down button. You have to press the both buttons until you hit the USB symbol, then hit volume Up button. In recovery mode, you need to select the “Wipe data/factory reset” & “Wipe Cache partition”. After that “install zip from SD card”, “Choose zip from internal SD card”, then install the cm-10-2012XXXX-NIGHTLY-tf700t.zip. Then install gapps-jb-2012XXXX-signed.zip. Once you have installed both the packages then go to the main menu and reboot your device. Please make a note that, your phone will take longer timer than the expected time to show the home screen. Because, that will be the first time after installing the firmware update. So, there you go you have successfully update your Asus Transformer TF700 with Official CyanogenMod 10 Nightlies. Congrats!